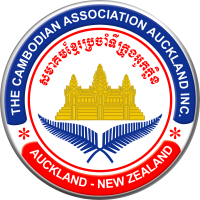 LONG BEACH: Local group appeals for help for an impoverished Cambodian boy. LONG BEACH - Supporters of an adopted, impoverished Cambodian boy have learned he may get a chance at having his heart repaired. All that remains is to find the money to pay for the procedure. Bunlak Song arrived in the United States this week with Peter Chhun, the head of a Long Beach nonprofit that helps arrange surgeries for poor Cambodian children with heart defects, who cannot receive treatment in their home country. On Thursday, Chhun learned that the International Children's Heart Foundation is willing to perform the surgery during one of its upcoming missions, either in the Dominican Republic or Honduras. However, Hearts Without Boundaries, the nonprofit with about $200 in its account, must raise about $15,000 to $20,000 to cover hospital costs, travel and lodging at either of the locations. The International Children's Heart Foundation performs surgeries for poor children worldwide, donating the services of surgeons and staff and charging only for hospital costs. Chhun was overjoyed to get approval from Dr. William Novick, who heads the international program, and Dr. Rodrigo Soto, the surgeon who performed a similar procedure in the Dominican Republic on Sochat Nha, a Cambodian girl Chhun helped save last year. Chhun continues to negotiate with U.S. hospitals, which would be far more affordable for the fledgling nonprofit if services were donated. "We are so lucky there is a group that will do this," Chhun said of International Children's Heart Foundation. "It costs some extra money, but (Song's) life is in danger so we have to move quick. We'll do whatever it takes." Song is the fourth child Hearts Without Boundaries has helped. 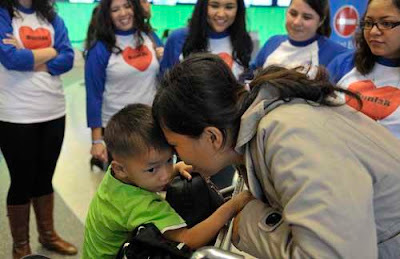 The first two, Davik Teng and Soksamnang Vy, were treated in the U.S. by Los Angeles Childrens Hospital and Sunrise Children's Hospital in Las Vegas, respectively. Nha, whose surgery and condition were deemed too high a risk by U.S. surgeons, was operated on by Soto. All three children are living healthy lives in their home country.